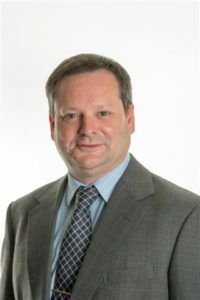 The Leader of Tandridge District Council, Councillor Martin Fisher, secured a victory for his residents at today’s Surrey County Council’s Planning and Regulatory Committee, persuading councillors to set a daily cap of 112 HGV movements a day at Oxted Quarry, rather than the 156 movements proposed. 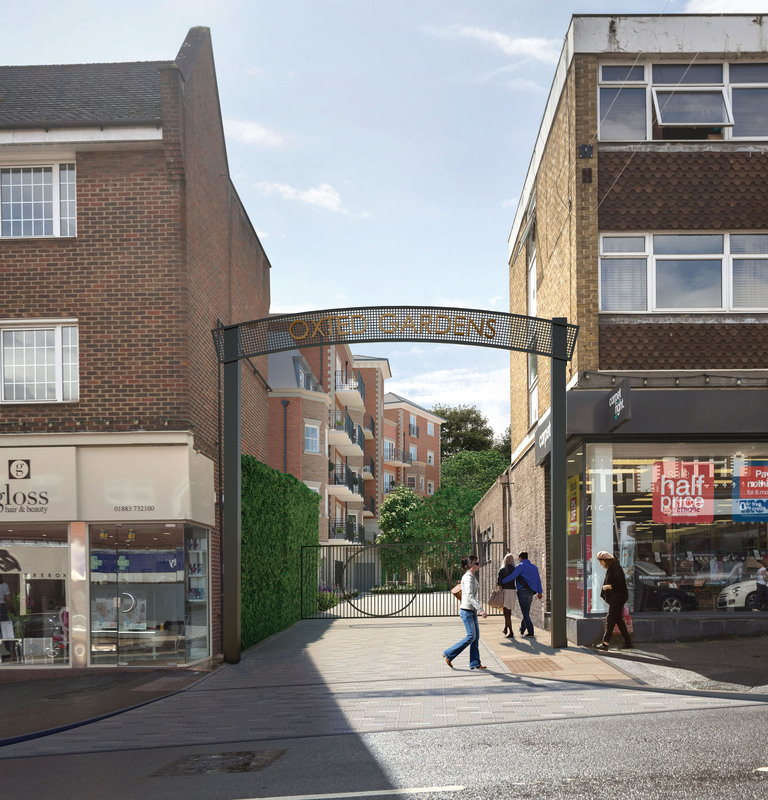 His proposal was supported by Tandridge District Council and Sam Gyimah, MP for East Surrey. Councillor Martin Fisher spoke at the meeting as the quarry falls within his ward (Oxted North & Tandridge). He has been speaking out about this issue since 2007, strongly contesting this level of traffic movement and associated activity is unacceptable and dangerous for residents living in the area. 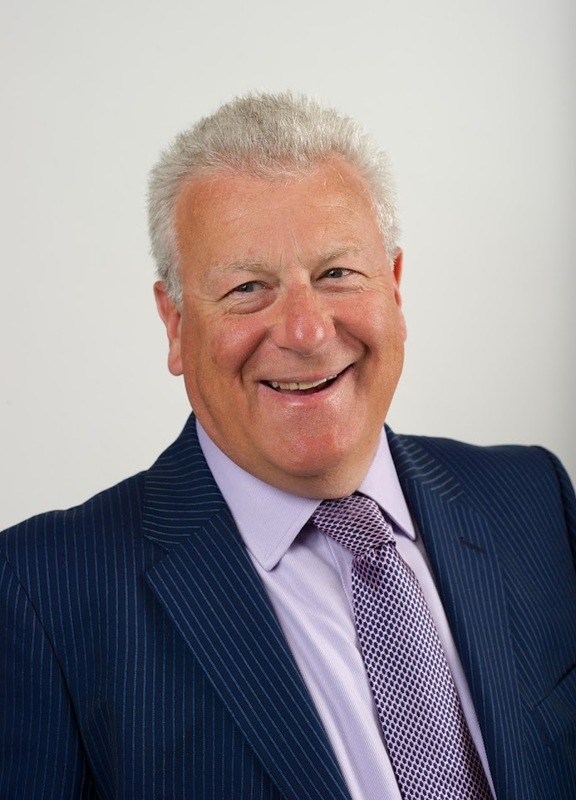 The Leader of Tandridge District Council will speak at today’s Surrey County Council’s Planning and Regulatory Committee, at it considers approving new conditions which would allow a maximum daily cap of 156 daily traffic movements by heavy goods vehicles (HGVs). Councillor Martin Fisher, will speak at the meeting as the quarry falls within his ward (Oxted North & Tandridge) and strongly contest this level of traffic movement and associated activity is unacceptable and dangerous for residents living in the area. Surrey County Council will also consider imposing a condition that HGVs should not travel in convoy and should not access the site between 8am to 9am and 3pm to 4pm, Monday to Friday, to avoid school traffic. The owners of the quarry should also monitor the condition of the road and carry out maintenance as required. Councillor Fisher has been speaking out about this issue since 2007. Concerns increased in 2016 when the Environment Agency doubled the amount of infilling allowed at the site to 200,000 tons without consultation. Following many discussions with local residents he will highlight a number of concerns. The narrow access to the quarry from Chalkpit Lane. The lack of footway on some sections which means pedestrians have to walk in the road. The narrow road and lack of passing points means two HGVs cannot pass each other. Cyclists and children walking to schools are at risk because of the volume and size of vehicles. 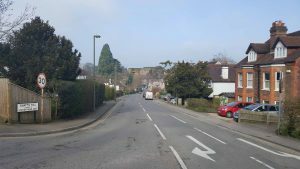 Tandridge District Council has also sent a formal response to the application which sets out the clear risks to the safety and wellbeing of residents living close to the site and proposes a daily cap of 112 daily traffic movements. Sam Gyimah, MP for East Surrey, has also written a letter in support of this. Conservative led Surrey council with 89% Green Belt has recently completed its final Local Plan consultation and is awaiting Inspection. The plan submitted to the Government Inspectorate in December 2017 provides for 654 houses per annum and included the loss of about 1.5% of its Green Belt. It has adopted a brownfield sites approach first but to meet its housing need the plan includes five strategic sites on previously undeveloped land. Two are urban extensions on the edge of Guildford providing 3,200 units and a new settlement of 2,000 units at Wisley. Infrastructure improvements required as part of the plan include two new railway stations, a new intersection on A3 plus a solution to the A3 around Guildford. A planning appeal for a replacement secondary school and 258 residential dwellings in the Green belt was just recently allowed by the Secretary of State. The Government Inspector, before even starting the examination, has said he is very concerned that the plan makes no allowance for meeting unmet housing need and that he sees no evidence the plan can reasonably be expected to improve housing affordability. Paul Spooner the Leader of Surrey has rebutted the Inspectors criticism as unrealistic and did not consider it reasonable or consistent with achieving sustainable development to require Guildford to release further Green Belt sites. The eleven District Leaders met on the afternoon of the Budget Speech. This was against a backdrop of 15 authorities, including Runnymede in Surrey, which are being threatened with “Special Measures” for failing to make progress on developing their Local Plan. Make no mistake about this. The Department of Communities and Local Government (known as the DCLG), via the Inspectorate, is getting tough on all Local Authorities, particularly those in areas – like ours – which have always had relatively high house prices. In the latest document, the proposal is to increase the housing delivery target by up to 40% to take into account affordability issues. For Tandridge, this would mean an additional 3,500 new homes (on top of 9,400 homes under the working OAN) to be built over twenty years. Let me make it quite clear Tandridge District Council do not accept this arbitrary increase because it takes no account of our Green Belt constraint. On these points, we agree. However, to expect Councils in areas like ours to deliver so many homes and in such numbers is, quite simply, to ignore the reality of the situation. As a consequence, the Surrey Leaders Group agreed to send a small delegation, including myself, to meet the Secretary of State for Communities and Local Government, Sajid Javid, and to request the attendance of Chris Grayling to gain clarity on this vital issue for Tandridge and Surrey. The proposed increase for housing provision in Surrey is, on average, around 10% but for Tandridge it represents a 37% increase. However, there are some other authorities who have, in fact, seen a fall in their level of housing need. Most of these are in the North of England, reflecting the disjointed and disproportionate nature of this policy compared to the efforts the Government has already made to rebalance the economy and deliver the infrastructure in the North that would be able to support these homes. For Tandridge, independent consultants have determined a working OAN of 470 homes per year. This figure is already a significant challenge for us to meet but has been used as a starting point to gather evidence through our Local Plan process. We represent an area in the South East that is already straining at the seams to accommodate the original level of proposed housing need, and any increase to our working OAN figure will absolutely not be tolerated by our Council. We will face a scenario in which existing housing delivery targets, let alone the proposed increased targets, are unlikely to be able to be met. In fact through the evidence gathering process it is already apparent to me that we are likely to be well short of our existing OAN number and the proposed increase will not help us to find additional land that simply doesn’t exist without concreting over the Green Belt, something this Council will never do. Tandridge has been tirelessly working to identify the land and infrastructure necessary to facilitate delivery of our housing need. As a result, we have stated that we are considering releasing 1% of Green Belt land for new housing, despite some local objection. I will tell the Secretary of State, when I meet him in due course, that we will not stand idly by when our Local Plan is put forward for examination next year. If the Planning Inspectorate attempts to force us to build more homes to meet the Governments’ arbitrarily-inflated OAN figure, this would ultimately lead to the decimation of our Green Belt. Finding the right balance between providing housing for all our residents’ future needs, whilst, at the same time, ensuring maximum protection for our Green Belt, is what we all ultimately want. We have been the Party to have successfully defended and protected our Green Belt to date and we will strive to continue to do so. But ultimately we do need to convince the Government appointed Inspector that we have collected the evidence and that our plan is sound delivering local needs while protecting our Green Belt. 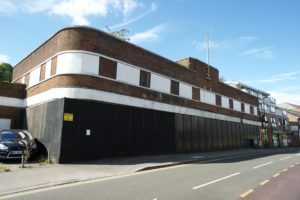 The Council is delighted to learn the owner of the former Rose and Young garage site in Caterham and Clarion Housing Group (CHG) have exchanged contracts for the sale of the site. Clarion Housing Group is a company committed to providing affordable housing. They have planning permission for 48 dwellings, with a supermarket on the ground floor. The exchange of contracts is a significant step forward in the Council’s ambition to get this valuable town centre site back in use and contributing to the town. The Council will be monitoring the progress of this scheme carefully and is fully committed to securing the timely redevelopment of the site. 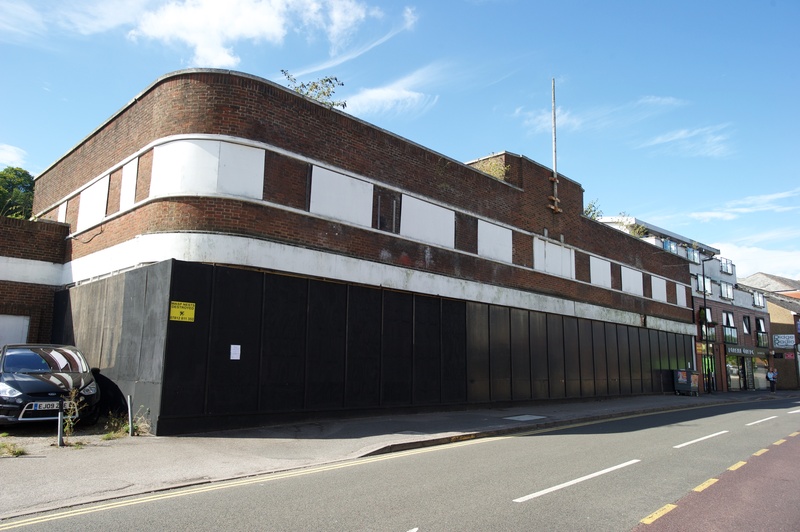 At this week’s Resources Committee it was agreed that if insufficient progress was made by CHG, the Council will take any necessary action to ensure redevelopment takes place, including using another compulsory purchase order.